Each of the esteemed nuts in our deluxe mixed nuts roasted salted collection brings a distinctive flavor and unique texture to the mix. The roasting process intensifies the nutty flavor and the salt enhances the overall tastiness of the mix. 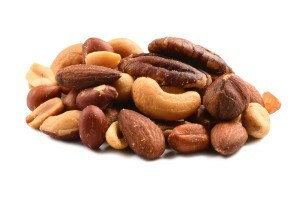 You can choose to enjoy one variety of nut at a time or excite your taste buds by mixing flavors. Best mix of mixed nuts I’ve ever gotten. Always fresh and delicious! This combination of mixed is just right and fresh with the salt they are not going to last long. I have ordered from other companies b4 and the prices cannot be beat. SCRUMPDILLICIOUS!!!! PERFECTLY SALTED – – GREAT VARIETY! WILL ORDER AGAIN! Great taste and quality, just needs to be more whole pieces, Thank you! 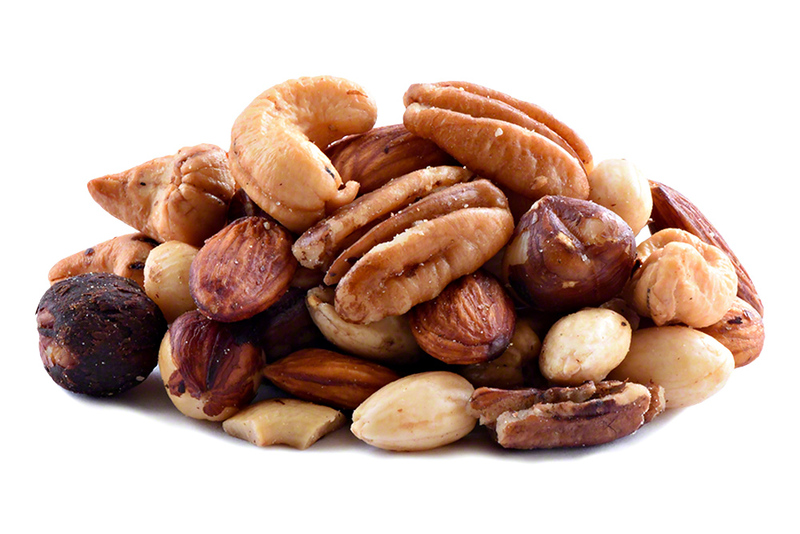 If you like nuts you will like these mixed nuts. Perfect for family visiting for the holidays. I’m a nut muncher so deluxe nuts are a real treat. I recommend these nuts for quality and freshness. Outstanding mix of fresh flavorful nuts! Mix without peanuts, such a delight! The nuts are delicious and as always delivered promptly. I love these mixed nuts. My husband loves his mixed nuts. I hid them from him so they would last a day. He really loved the Brazil nuts, I’ll have to get him a bag of just those. Nutstop products are always fresh and delicious. The mixed nuts are a favorite. I am purchasing these for the first time. People keep asking for mixed nuts. The reason I am giving it a 5 rating is because if this mix is the same nuts in separate bags but mixed together, it could not fall below a 5! We will see….